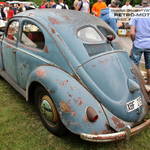 Highlight for me was getting a full appreciation of the differences over the early years of the humble VW. 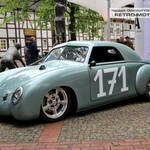 The early KDF-Wagens look superficially the same as an early 1950s split-window oval but there's a lot of changes. I've never seen so many coachbuilt VWs. 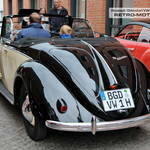 The Hebmüller cabriolets with their sleek rear lines are a lot more elegant than the regular production cabrios, the wheel arches of the Rometsch Beeskow remind me of the Mercedes Benz 300SL and the modified Dannenhauer & Stauss looked sensational. 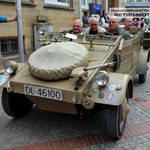 Lots of wartime vehicles around too with Kübelwagens, Schwimmwagens and a few Kommandeurwagens enjoying their attention. It's a shame that there's four years to wait until the next one, but in the meantime enjoy the photo gallery!